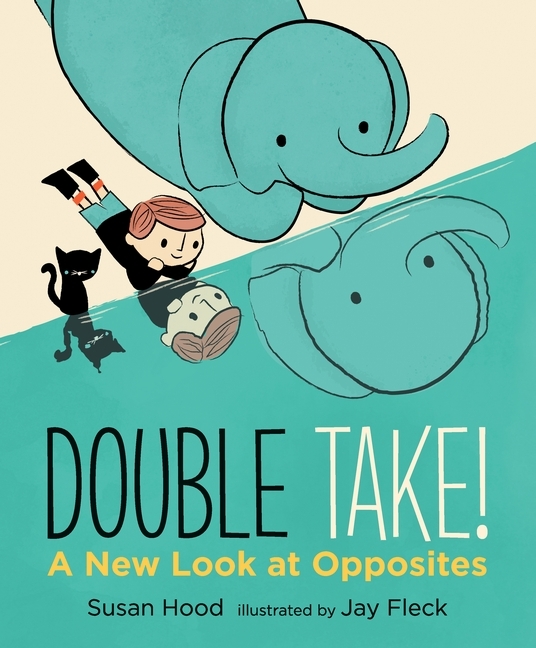 Get a whole new perspective on opposites in this stylish, fun and engaging picture book. Who knows what’s BIG unless there is SMALL? Does SHORT mean a thing except next to TALL? Susan Hood, author of over 200 children’s books, and illustrator Jay Fleck create a topsy-turvy journey that will make readers see the familiar concept of opposites in a different light. Susan Hood is the author of more than 200 children’s books, including Ada’s Violin: The Story of the Recycled Orchestra of Paraguay, illustrated by Sally Wern Comport, and Spike, the Mixed-up Monster, illustrated by Melissa Sweet. She has worked as the children’s content director of Nick Jr. magazine and as an editor at Instructor magazine, Scholastic and Sesame Workshop. Susan Hood lives with her family in coastal Connecticut, USA. Jay Fleck‘s artwork has been featured everywhere from Gap to the front page of Society6.com. Double Take is his picture book debut. Jack Fleck lives with his family south of Chicago, USA.